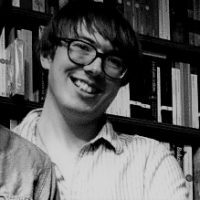 Sam Murray is a PhD candidate examining the sustainability of music scenes, in particular that of Portland Oregon. He is also the Co-Chair for the #I’mWithEU EU referendum Campaign run by the Young Greens of England & Wales. Music has an immense capacity to bring people together and foster cultural understanding. Case studies from the UK show us how entire new musical genres have emerged from the encounter of different musical traditions, and how the cultural landscape of a nation can be enriched thanks to the influence of migrant communities and diasporas.